Eastern American Diocese of the Russian Orthodox Church Abroad - Priest George Temidis: "I Always Feel Russian, Wherever I Am"
Priest George Temidis: "I Always Feel Russian, Wherever I Am"
A computer security expert working for IBM, deputy rector of Nativity of the Mother of God Stavropegial Church in Mahopac, NY, which in the 1950s became a home of the Kursk Root Icon of the Mother of God, and member of the Eastern American Diocesan Council, Priest George Temidis was born on Long Island, NY. He was raised in Sea Cliff and attended the Russian School of St. Seraphim Parish, which later became a memorial church to the reunification of the Russian Orthodox Church. He served as an acolyte at Holy Intercession Church in Glen Cove, the rector of which at the time was the future Bishop Constantine (Essensky). When "Yura" started kindergarten, he knew only three phrases in English, which was not rare for the families of Russian émigrés, who tried to delay the assimilation of their children. Even today, you will find Americans who speak flawless Russian. Long Island was home to one of the many post-WWII Russian communities which pooled their money one penny at a time to build their own modest churches in neighborhoods with large mansions, among which are St. Seraphim and Holy Intercession Churches. Fr. George:All of my ancestors were Russian: my maternal grandfather, Dmitry Alexandrovich Potemkin, was born in the city of Orel and hails from the historical figure Prince Gregory Alexandrovich Potemkin, who built the Black Sea Fleet. Before the 1917 Revolution, my grandfather studied at Sumy Cadet Corps. When they closed the school, the graduates refused to leave. [Red Army] soldiers were sent there. My grandfather and his friend salvaged the Sumy Regiment banner, which had been given to the school by Emperor Nicholas II. The banner was sown into my grandfather’s shirt, which he was then able to smuggle first to Yugoslavia, then America. It is now found at the Synodal Cathedral "of the Sign" in New York City. It is the only such banner they have which can even now be opened without crumbling. The last year of his studies was completed at the cadet academy in Yugoslavia. There he met my grandmother, Irina Lvovna Peiker. She also had an interesting ancestry; she was born in St. Petersburg, her great-grandfather, Prince Alexei Theodorovich Lvov, composed the anthem "God Save the Tsar." They say that in 1833, he accompanied Tsar Nicholas I on a visit to Austria and Prussia, where the Emperor was met by orchestras playing the English anthem. Upon returning, the Emperor instructed Lvov, who was a musician, to write a new anthem. Lvov wrote the music, Vasily Andreevich Zhukovsky wrote the words, and it was first performed in December 1833 as "The Prayer of the Russian Nation," and from December 31 of that year, it became the official national anthem of the Russian Empire until the February Revolution of 1917, and known subsequently as "God Save the Tsar." Another ancestor on my grandmother’s side was the Swede Sabelius (Sven) Wachsel, who served under Peter I. He participated in the Second Kamchatka Expedition of 1733-1744 to the shores of what they did not yet know was America, and reached Alaska. On the return trip, he took over the helm from the late Captain-Commander Bering. The ship capsized and they were forced to spend a hungry winter on a rocky island. The next spring, they were able to return to Russia after building a ship from the wreckage. – We put together our family tree and found two Byzantine Emperors among our ancestors: John VI Cantacuzene and Matthew Asanes Cantacuzene of the 14th century. Not long before World War II, my grandfather, who held two doctorates in engineering, was moved from Yugoslavia to Germany. After the war, military officers who were well-disposed to the Russians warned him that the following day they would be repatriated to the USSR. His family fled from Europe to Brazil, where they lived for 13 years, and in 1957 moved to America. So my mother, who was born in Yugoslavia, found herself in New York. My father, Gabriel Georgievich, was born in Gelendzhik, on the Black Sea. His father was of Greek birth. He lived near Odessa, and was in the sparkling-wine business in the Black Sea region. In the 1930s, he was arrested, and died in prison. Papa was only seven years old then. In 1940, his relatives in Greece provided documentation, which he used to emigrate. He lived in Athens until the age of 18, then moved to America. My parents met in New York, at the Synod residence, where they were to marry later, in 1960. I have two brothers; I am the eldest, our middle brother, Protodeacon Dimitri, serves in Holy Virgin Protection Church in Nyack, NY, and our youngest brother Andre is the warden at Holy Intercession Church in Glen Cove. We were always close to the Church. Our parish priest, Fr. Manuel Essensky, taught us how to serve as altar boys, and when we were young we had our fair share of unusual, even funny, incidents. I wasn’t even five years old when I got the blessing to serve as an acolyte. It was Paschal Vespers on Sunday. Our church had a large icon of St. Panteleimon the Healer containing his relics. Under the icon were two small steps, where my brother and I often sat during the reading of the Epistle and Gospel. But that day I was already serving as an altar boy; when they started reading the Gospel, I stood holding a candle, which seemed very heavy and kept swaying. One old man came up behind me and started to hold the top of the candle steady, unbeknownst to me. Then I saw my brother sitting on the steps, and since I was bored, I let go of the candle, and was surprised to see that it didn’t fall, so I thought "Why am I holding it?" and went to sit down next to my brother. I recall another incident, as well. 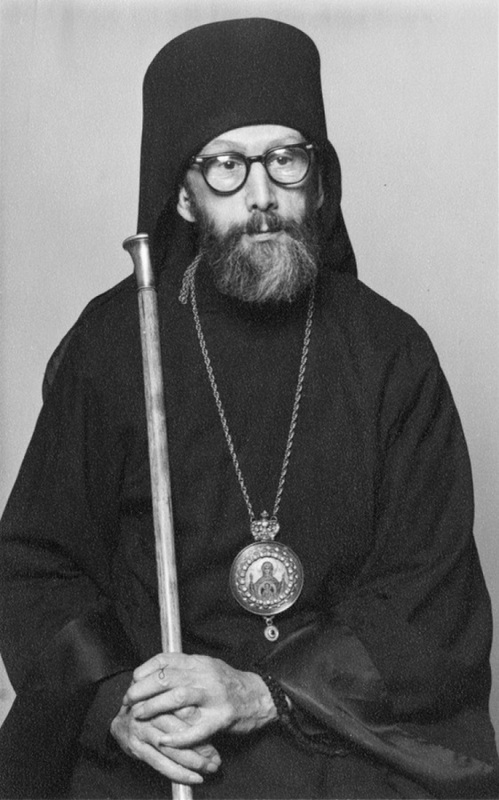 In the spring of 1968, our former rector – Bishop Constantine (Essensky) – came to serve for the first time after his episcopal consecration. His Grace’s subdeacons were supposed to arrive the following morning for Liturgy, and at Vigil we – the local boys – had to dress the bishop in his mantle. We were still small of stature, and barely reached His Grace’s shoulders. As we started to button up on his mantle, I accidentally pulled down, and he said to me, "What, are you trying to strangle me?" I served in the altar until the age of 17. Then I left for college, majored in information technology, and got a job at IBM, one of the largest hardware and software providers in the world, where I’ve been working now for 31 years in global computer security, doing analysis and strategic planning. It’s a fascinating and very demanding career. – What has that job given you, personally? –I need to think things through and analyze problems. I often need to make prognoses on the future direction of computer technology. I used to work in the headquarters in New York, but now I work from home, as do about 40% of our employees. It really suits me as a priest. I can perform a moleben service, and a few minutes later, I’m at my desk working again. If I need to administer the Holy Gifts, I can do it and then come home and work. I have six weeks of vacation, which I use at my discretion: I can serve on the Twelve Great Feasts, and I have plenty of other off days I can use for my ministry. –In the Diaspora, a priest not having a second job is actually the exception! Working priests, and especially working deacons, are a reality in our Church, and it helps the parish, which doesn’t have to support the clergyman’s family; for example, I don’t need health insurance or a salary. On the contrary, I have a good enough salary that I can contribute to my own parish. This frees up our parish’s finances. We are now renovating the New Kursk Root Hermitage in Mahopac, NY, which in the 1990s and early 2000s fell into disrepair. Had our parish needed to support a priest, we probably wouldn’t have been able to do it. Now everything that we raise can go towards renovation and other parish needs. We put a new roof on the church building, replaced the windows, cleaned the altar frescoes, and renovated and re-consecrated the Chapel of the Icon of the Mother of God "of the Passion" near the pond. Now we’re about the replace the bell tower. This is the way parish life is in the Diaspora; we couldn’t do it any other way; otherwise, a majority of our parishes would likely close. Our community was the first "Home of the Mother of God of Kursk," when she arrived in America. 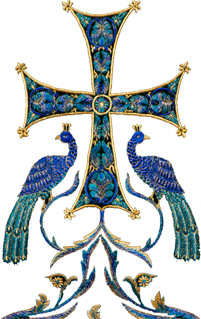 As of 1950, it was the estate of Prince Beloselsky-Belozersky, and he donated it to the Church to be the home of the Synod of Bishops and of the wonderworking Ocon. Bishop Seraphim (Ivanov; +1987) was appointed to build it and be the prior of the monastic community –he later became the Archbishop of Chicago & Detroit. He was originally from the city of Kursk. He proposed calling it the "New Kursk Root Hermitage" in honor of the original monastery in Russia, which had been destroyed. It marked the site of the finding of the icon in the year 1295. The estate had suffered from a fire; a Russian engineer by the name of Vishnevsky not only renovated it, but added a chapel to the main house. He didn’t waste any time; he would visit all of his friends with a painted copy of the Kursk Root Icon and collected whatever donations he could. This miracle-working copy, painted in Geneva with the blessing of Metropolitan Anastassy, was brought to the New Kursk Root Hermitage. 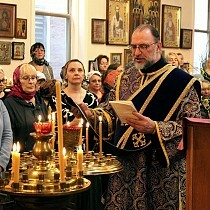 Vladyka Seraphim also visited parishes in New Jersey and Pennsylvania. The first miracle that occurred from the copy of the icon was recorded in Lakewood, NJ; a woman who suffered for many years from internal bleeding was healed after fervent prayer before this icon. A month after the first Divine Liturgy was performed, the bishop began to build a permanent church. By this time, the Hermitage attracted two hieromonks: Adam and Viktorin. Fr. Viktorin’s father, Sergei Nikiforovich Lyabakh, was a jack of all trades, and set up the first church in five months. It was consecrated in honor of the Nativity of the Most-Holy Mother of God on November 19, 1950, five days before the arrival of Metropolitan Anastassy. It was actually the very same Sergei Nikiforovich who years later held the candle over my head. The interior of the church was designed in the ancient Russian style of the 14-15th centuries. The church is not large, but it is cozy, and easy to pray in. As in the original Kursk Root Hermitage, a place was set up on the left side of the church for the Kursk Root Icon, which was to arrive from Germany in early February. The icon spent three days in the New Kursk Root Hermitage before departing for a tour of Russian parishes in the United States. The first year and a half in America, the icon was usually housed in our church, but with time it began to spend more and more time in New York City. In fact, it was becoming increasingly difficult for the Synod to be based far from the city, so in 1951, Prince Beloselsky-Belozersky gave the Synod a building on West 77th Street in Manhattan, and in 1959, the Synod moved to one of the best neighborhoods in Manhattan, East 93rd Street on the Upper East Side. Soon thereafter, the icon would be taken to Orthodox Christians on other continents. – And so the Hermitage fell to disrepair? – By the mid-1980s, there were almost no monks left there. Divine services continued to be held there, but time took its toll: first the roof leaked, then the ceiling began to crumble, the heating system had problems. In the early 2000s, I remember that Metropolitan Laurus said that a monastery without monks is not a monastery, and it was time to establish a parish there. In 2004, he gave his blessing. I was elected parish warden, and we started renovation work. It was very difficult, and at times we thought that all our efforts were for naught. One winter we held services without heat in the church. But every time, some help would come, our hopes were bolstered, and we continued to work. This was often right after the Kursk Root Icon came to visit. We would carry the icon throughout the territory and return to work. – Fr. George, who are your parishioners? – At first, most of our parishioners were from the old emigration, but now, more than half are people who came from Russia, Ukraine, Georgia and other countries. More than 80% of our parishioners speak Russian. There are a few families that don’t speak Russian but still attend our services, so we serve in Church Slavonic, but the Epistle and Gospel are read in English. Many people come from afar, driving an hour or more. The parish is growing, however. There are about 65 people on average at Sunday Liturgy, over 50 partake of the Holy Gifts. – How did you come to New Kursk Root Hermitage, was it closer to your childhood parish? – It was 20 years ago, after I got married. My wife Liza was born in St. Petersburg, Russia, and came to America to study, and came to the Church here, started to attend Holy Virgin Protection Church in Nyack, NY. After her first year of study, she was searching for a place to work over the summer, and someone told her that there was a Russian camp in New York State that sometimes had need of helpers. This was the Russian youth camp NORR (the Association of Russian Explores – ed. ), of which I was president at the time. Liza came to work in the kitchen. When I heard about this, my first reaction was, "Again another young one has come to work… it’s so much better when the babushkas are here working: it’s so much calmer and quieter. This will be nothing but a headache!" – Was this displeasure ultimlately because of the woman’s age, or because Liza was from among the so-called "New" Russians? – Very simply, an older woman isn’t rushing off to the dances, but a pretty young lady will attract a lot of attention. But there were no problems with Liza; she just worked in the kitchen. Throughout July, while camp was in session, she and I didn’t so much as talk. On the last day, when camp had closed, we held our usual dinner for all of the workers, and then departed. Liza was supposed to leave at that time, but they did not come to pick her up in time, and we asked her to join us. We sat opposite one another, talked, and later exchanged e-mail addresses, which at that time, in 1995, few people were yet using. Later I counted that from the end of July to the beginning of December, we had sent one another 10,000 lines via e-mail. We talked about the history of Russia, the emigration, "Whites" and "Reds." In December I proposed to her, and in August of the following year we were wed in the camp chapel. For the first few years, we attended Holy Virgin Protection Church in Nyack. In 1999, we had a son, and started attending church a little close to our home – Nativity of the Mother of God Church at the New Kursk Root Hermitage in Mahopac, and even then tried to help where we could. In 2004, a parish was formed there, and I was elected warden. Actually, we have another family connection with the New Kursk Root Hermitage in Mahopac. My paternal grandmother, Marfa Gavriilovna, worked at the Synod as a cook for Metropolitan Philaret (Voznesensky). During the summer, Vladyka Philaret spent a lot of time in Mahopac, and she would go there with him. My parents would take my brother and me to visit her there every other Sunday. In 1967, a new bishop came to Mahopac, the recently-consecrated Bishop Laurus (Skurla). During one of our visits, my grandmother asked Vladyka Laurus to watch us while she went to the supermarket. Vladyka Laurus "babysat" us (I was six, my brother four), and even played soccer with us in the meadow near the church. When Metropolitan Hilarion decided to ordain me to the priesthood, he did it on the feast day of the Nativity of the Mother of God in Mahopac in the presence of the Kursk Root Icon. – What icon do you put in the traditional place of the Kursk Root Icon in your church? –We have the main painted copy of the Kursk Icon in our church, which by the blessing of the second Primate of the Church Abroad, Metropolitan Anastassy (Gribanovsky), was painted by the renowned icon-painter Archimandrite Cyprian (Pyzhov). He made an exact copy of the original, and even prepared the wood panel to look like it. The story goes that when Fr. Cyprian showed Vladyka Anastassy the two icons, the Metropolitan was alarmed, because they looked identical! So they cut out a little rectangle from the copy, took a splinter from the original and sealed it in with wax. – So if you remove the rizas [ornamented covers], you couldn’t tell the difference? –We never remove the riza, which is a very simple one on the copy: it is made of thin metal and attached with brads. The riza looks like the original but without the enamel and precious stones. – Fr. George, you have served at the altar for almost two years. Who decided to ordain you, and what traditions do you try to maintain? As our parish warden, I wanted to study church tradition purely from an academic point of view, and with the blessing of Metropolitan Hilarion, I enrolled in the Chicago Pastoral School in 2011. I’ve known Vladyka Metropolitan since I was 17, when I would go to confession to him in Holy Trinity Monastery in Jordanville. I started my studies on September 18, and on the 25th, Vladyka Metropolitan ordained me to the diaconate. Four years later I was ordained to the priesthood. Our parish has a very familial atmosphere. After every Liturgy, we have a pot-luck luncheon, free of charge. People of various ages socialize, parishioners and visitors. On Pascha, after midnight services, we all stay to celebrate and only go home at about 4-5 am. Everyone is on a first-name basis, our families are friendly, we work together for the church, we gather for Bible study, namesdays, birthdays, our children grow up together. We share both sorrows and joys. – In Russia these days we hear a lot about "burnout," the professional exhaustion some priests experience. As a working priest, do you think it’s possible to avoid this, have you experienced it? – It’s probably too early for me after only two years, but I can understand how these priests and their families feel. It’s different in the Diaspora: our priests and their families all know and support each other. Our priests feel support in the parishes, as well; half of our work is the divine services, while another have is interacting within the parish community. I’ve been to churches in Moscow and St. Petersburg, but I haven’t gotten to know parish life there. We have direct access to our bishops and Metropolitan: at any time, they will speak to you and give you advice. I think this helps against "burnout." I am sure that most of the bishops in Russia have many more clergymen under them, so priests need to help each other, keeping close contact with one another, and not waiting until exhaustion has overtaken them. – You just said that you’ve been to Russia. Do you feel Russian when you’re there? –Of course. I always feel Russian, wherever I am. When I started kindergarten in America, I only spoke three phrases in English, so when I visit Russia, I feel at home. The first time I went there on a business trip, in 2007 (three weeks after the reconciliation): I attended a conference as an interpreter for the president of IBM. It took place in St. Petersburg, and afterwards I spent a few days in Moscow. My second visit was in 2009; a committee set up to help restore the original Kursk Root Hermitage in Russia invited me to represent my parish, so I was able to visit Kursk as well. The third time, in 2016, we went with our kids: 17-year-old John and 13-year-old Alexey. I found it interesting how they felt there; they both liked it a great deal, and they, too, felt Russian. They speak, read and write fluent Russian. It was easy for them to interact and orient themselves in Moscow and St. Petersburg. My wife has been teaching for more than 20 years in our parish school at Holy Protection Church in Nyack, and our children have been attending since they were three years old. Liza’s 93-year-old grandmother lives with us, and she only speaks Russian with the children. John was born with hemophilia, and by the time we were expecting our second son, we came to pray to Tsarevich Alexis, who became a sort of heavenly patron of our family. There was a 50% chance that our second son would also be a hemophiliac. The first time, when our elder son was born, much was done incorrectly in the hospital, and this time, as we were getting ready for the birth of our second son, we prepared 20 pages of materials about how to deliver a baby who might be born with hemophilia. We asked the hospital staff if they new how to deliver a child with a high likelihood of hemophilia. The doctor replied that they did not, and asked everyone to acquaint themselves with the materials we brought. So it was as though we were training the hospital staff. Thanfully, Alexey was born totally healthy, but that same day another baby was born with hemophilia, and the doctors were entirely prepared and knew what to do. I share this story because we never know how the Lord will choose to act. But let’s return to our trip. In St. Petersburg, we were preparing to visit St. Alexander Nevsky Lavra. We called a taxi, and they said they were sending us a beige Renault. Later they told us to walk to St. Isaac’s Catehdral: it would be easier for the taxi to stop there. We waited and – nothing. Suddenly we see the beige Renult, and walk over to it quickly. The driver stopped, we got in and took off. The driver asked for the address. Suddenly, Liza’s phone rings and they tell us that the beige Renault is waiting for us at the crosswalk. It turns out that we didn’t get into a taxi at all, but just a regular car! I asked the driver: "Why did you stop? You could have just refused to drive us." He responded, "I saw a priest in a ryassa, with a cross, walking toward my car. I decided that I should stop and give him a ride." We started to apologize for the mix-up, but the driver, a young man, was just happy to help. – This year marks 10 years since the reconciliation within the Russian Orthodox Church. When you first heard of talk regarding possible unification, what was your reaction? Which side did you take? What about your friends and family? –In 2006, I was a delegate to the IV All-Diaspora Council in San Francisco, when we voted for reunification. Then I was still a layperson, and I was greatly impressed by the effect of the Holy Spirit on the Council. I then told my wife over the phone that if we had to vote over such a trifle as when to have lunch, we would all die of starvation, that’s how bad the differences of opinion were. For me personally, the path towards reunification was long and difficult. In 2003, when our clergymen gathered in Nyack, I carefully followed the proceedings and thought that too many people of the older generation, my parents included, were not ready for it, and that the rapprochement was taking place faster than they could absorb. I thought they needed more time. I was very afraid of a schism and for that reason, I headed to the Council prepared to vote against reunification. But everything changed. 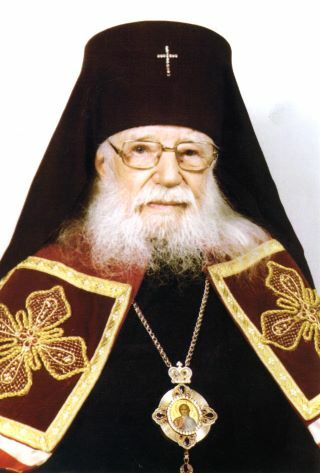 At the beginning of Great Lent in 2006, Metropolitan Laurus, with whom I had a close relationship, and who was close to my father, appealed in his Lenten Epistle for people to pray fervently for the upcoming Church Council and for its participants. I decided that I would commit to partaking of Holy Communion every Sunday before the Council. At the time, there was a great deal of debate, and it was hard to imagine what the Council would decide. It was not we, the delegates at the Council, sinners all, who made the decision, but the Holy Spirit. At the Council itself, everything started to change direction. After we all sang an akathist together, the mood eased. I remember how the members of one of the committees (either the recording committee or the draft-resolution committee, I don’t remember which), finished their work very late and decided to go upstairs to the cathedral. They opened the reliquary of St. John of Shanghai & San Francisco and put their draft on his relics, then performed a moleben, commemorating every delegate by name. When deliberation on the text began, the atmosphere was transformed. Everyone worked together, suggesting alternate wording, proposing to delete certain things, and very gradually, a concordance was reached. We were all surprised how few "opponents" remained during the vote. I was left with the impression that it wasn’t us sinners, the delegates, who made the decision, but that the Holy Spirit directed us. After the Council, over the year that followed before reunification, I spoke to many people about the Council in great detail, sharing my notes and documents. With time, my parents and many others I knew calmly accepted the decision of the All-Diaspora Council. – Fr. George, you make prognoses about computer technology as part of your job. What prognosis would you make about the Russian Church Abroad? –I don’t think we can predict the future of our Church Abroad. This is beyond our competency. We must continue to apply all our powers to benefit the Church: rear our youth, educate our flock, bring people closer to the Church, establish a beneficial environment in our parishes, to draw people closer to the Church and to God, to edify them in faith. This all depends on God and His mercy. Interview conducted by Tatiana Veselkina.